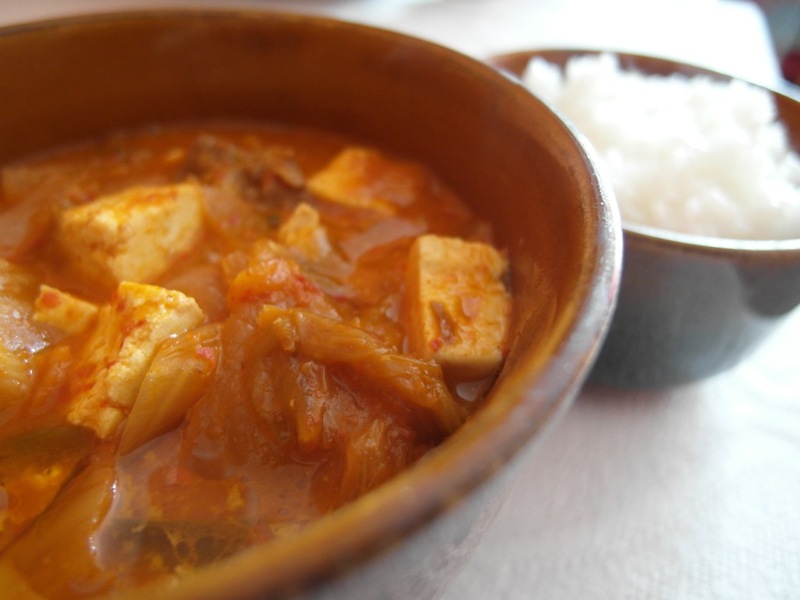 Kimchi Jjigae 김치찌개 is a traditional Korean stew-like soup made of old over-fermented kimchi along with a few scarce scraps of meat. It’s full of vitamins and antioxidants. Put sesame oil into a soup pot and stir fry the pork and garlic for about 5 minutes. 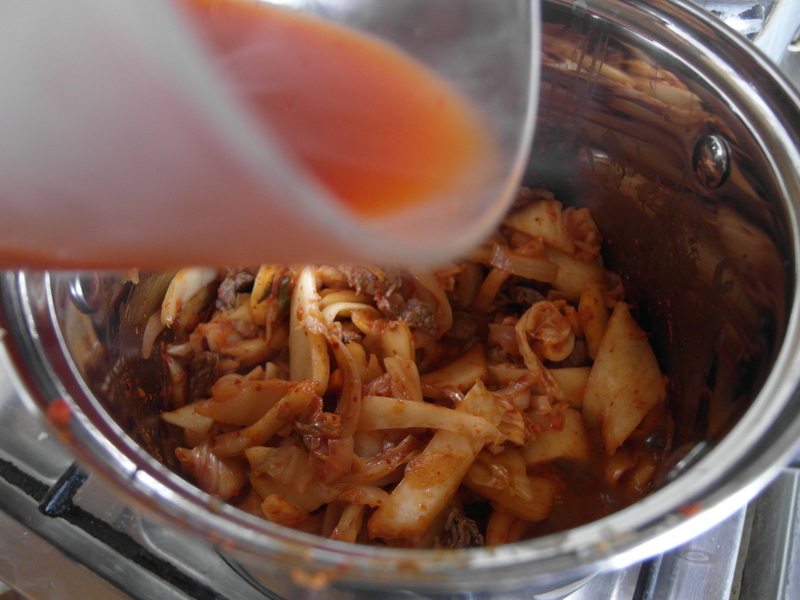 Add onion, kimchi, kimchi juice, ginger, chili pepper, red pepper flakes. 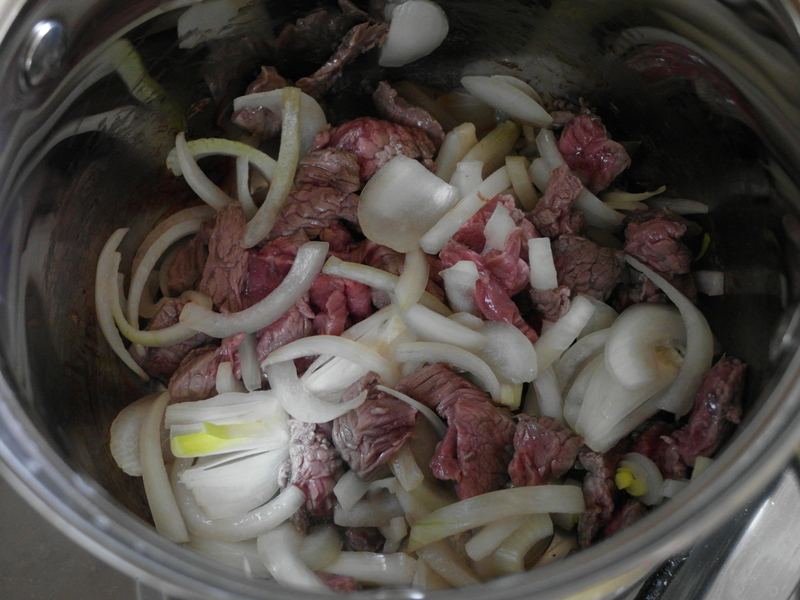 Cook it on medium-high heat for about 7 minutes, stir consistently. Add water. Bring heat up to high and boil for a couple of minutes. 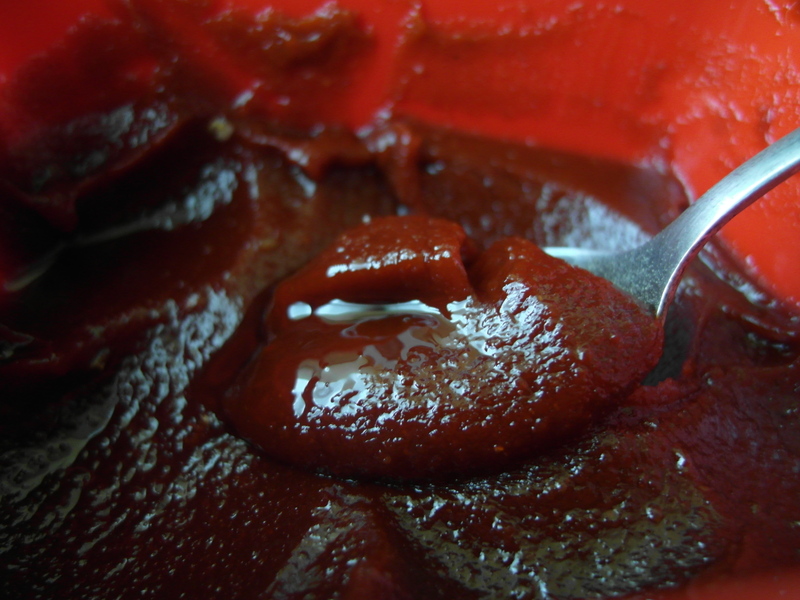 Taste it and if needed, add red pepper paste to taste. 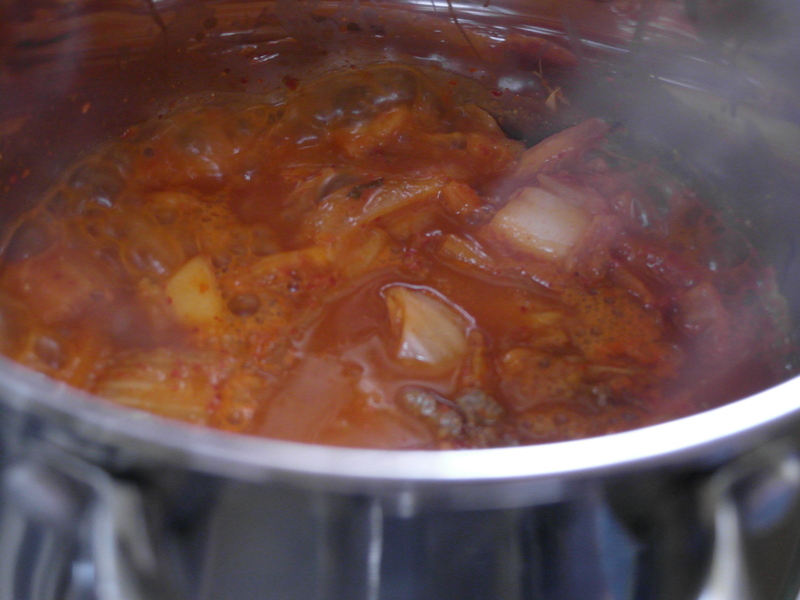 Add the tofu and turn down the heat, let it cook for 20 minutes, until the pork and kimchi are tender. Add soy sauce and salt to taste. 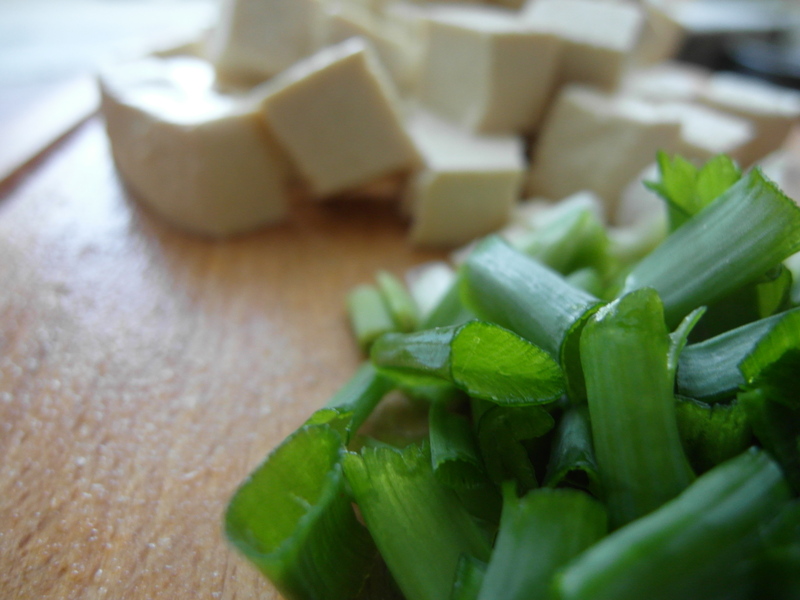 Finish it off with green onions and a teaspoon of butter. Serve with a bowl of rice.